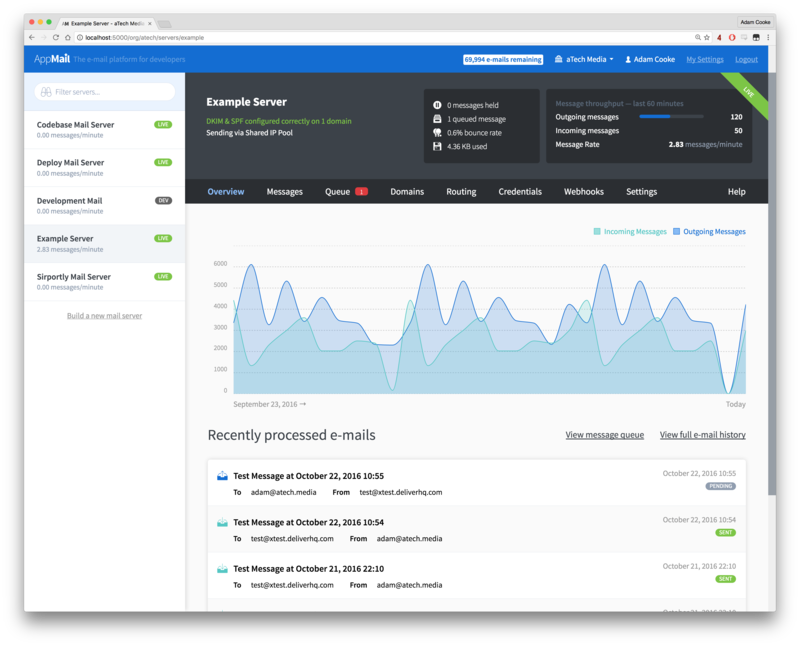 Earlier this week we launched AppMail which is an e-mail platform designed for developers like you. AppMail can handle all your incoming & outgoing e-mail and offers an easy to use web interface and powerful APIs to allow you to monitor every e-mail you send or receive. The current Viaduct mail service (smtp.viaduct.io) will be discontinued on Monday 5th December and we encourage all users to switch to AppMail. You'll get 10,000 free e-mail credits on AppMail and additional credits can be purchased in blocks whenever you need them. Exactly the same as what was offered on Viaduct. It's really easy to switch and in most cases you'll just need to update a couple of environment variables in your application. We've got lots of documentation which will help you get up and running in no time. Our team is also standing by to help if you need us.